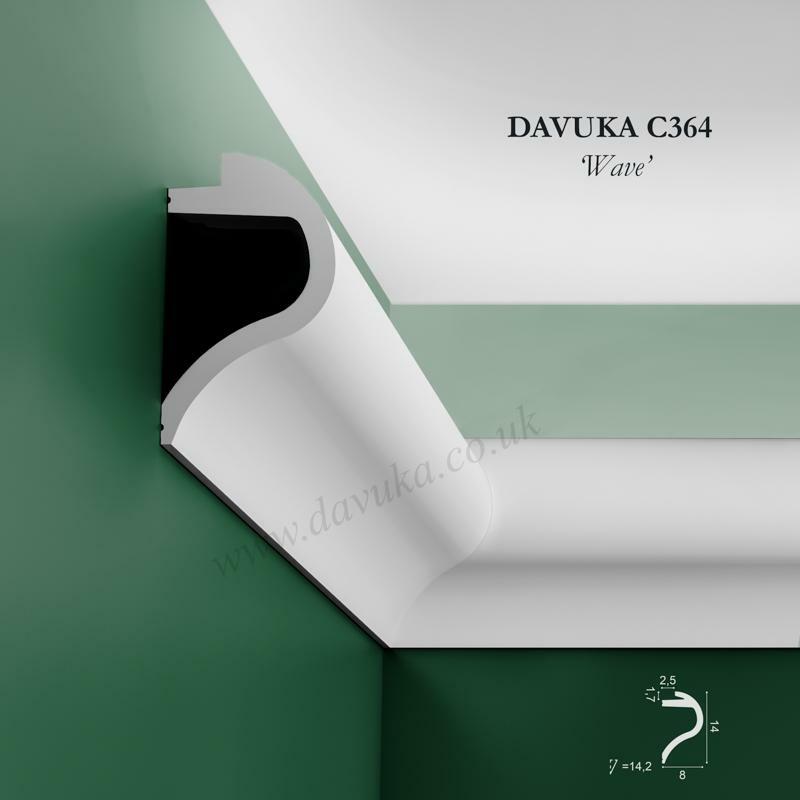 Most types of cornice are installed with the purpose of softening the join between wall and ceiling. 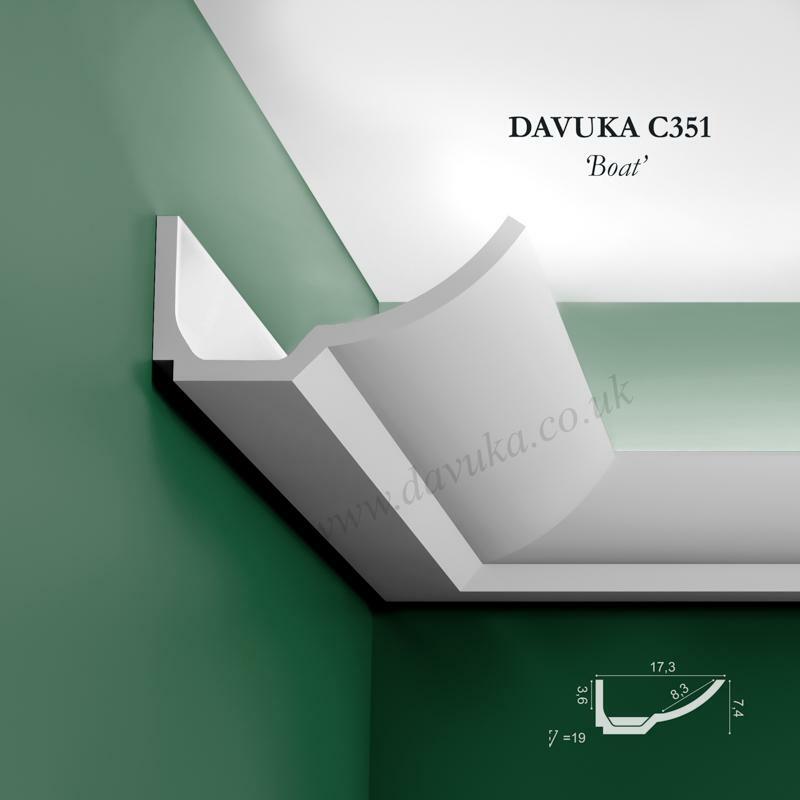 However, in recent years, uplighting cornice has become extremely popular, as an alternative/additional means of lighting a room. 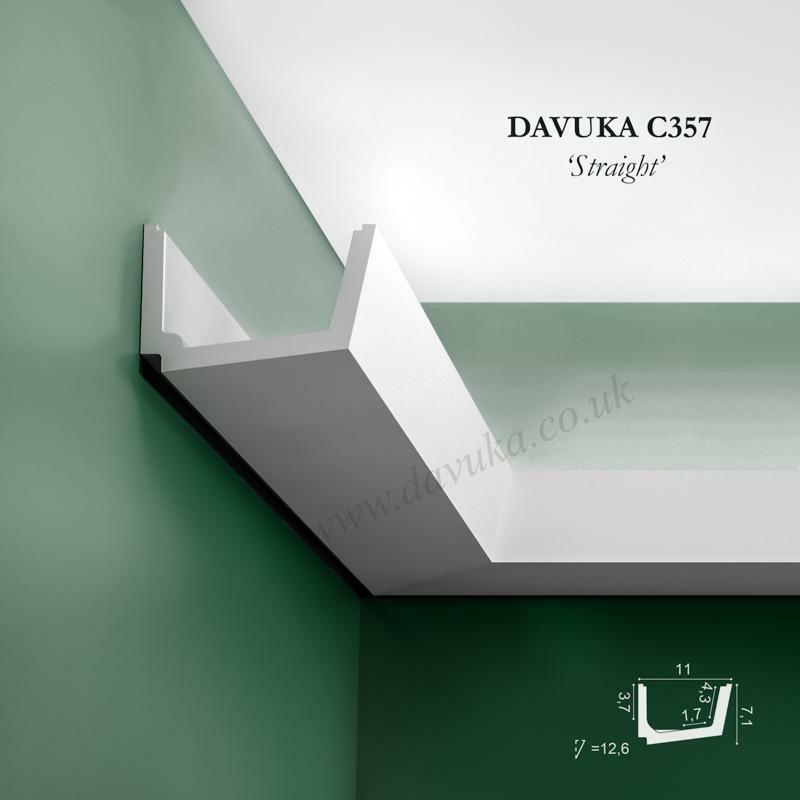 Fitted low energy LED lights are placed into the trough to provide directional upward lighting across the ceiling, creating a truly unique effect and a lovely ambient mood in a room. 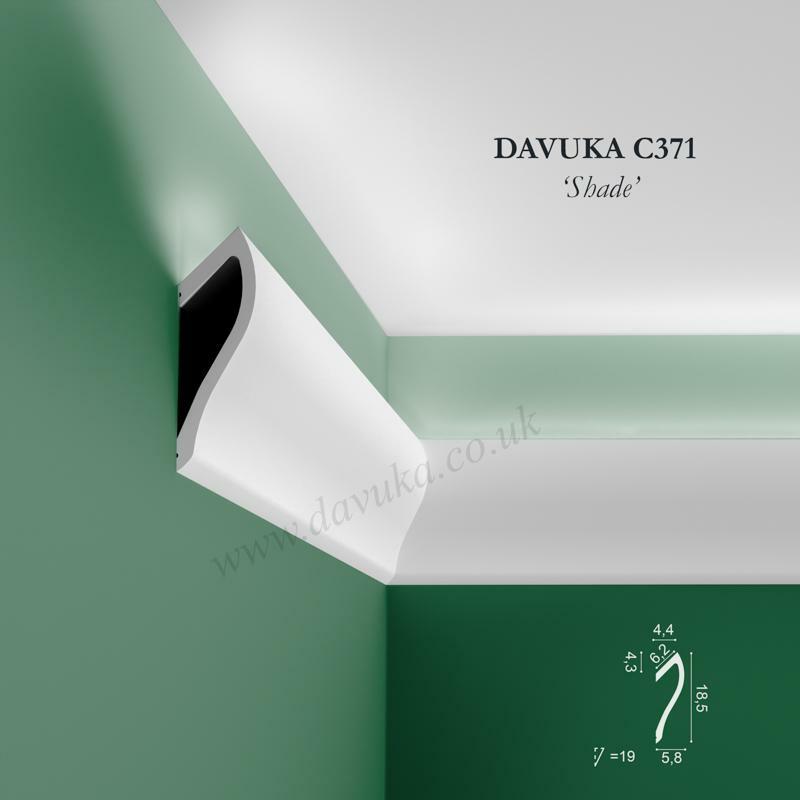 Alternatively some profiles can also provide a downwards lighting effect as well for a different style. If you require a bespoke all-in-one, ‘plug and play’ LED system (incl all drivers, wiring, soldering etc), please email us your room dimensions/plan and we will quote for a system based on your exact requirements. 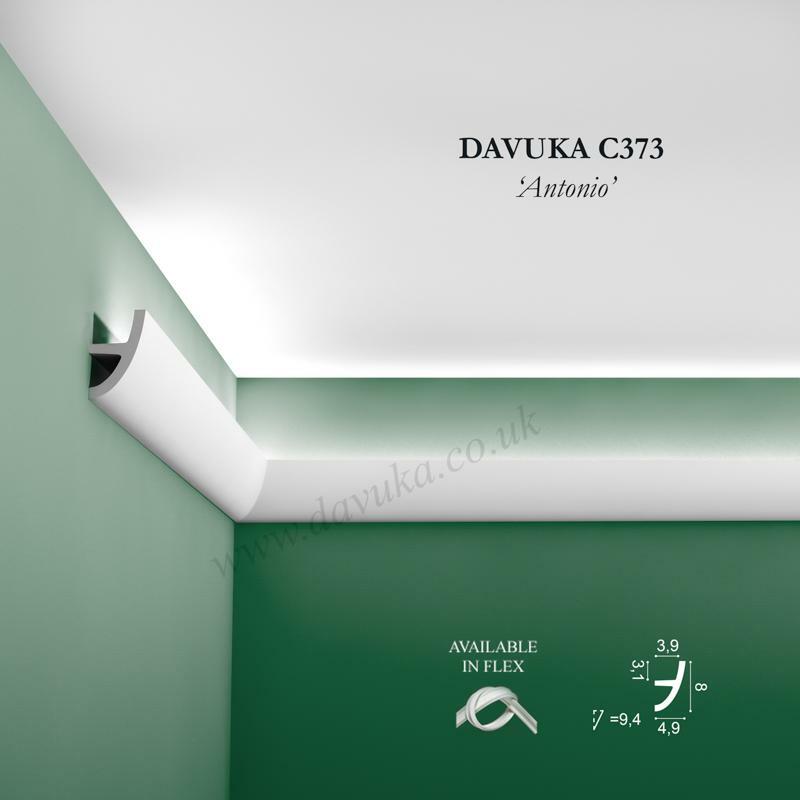 With an ‘open’ top, the uplighter cornice is fixed to the wall approximately 15-20cms from the ceiling and fitted inside with LED bars or lights along the length of cornice. 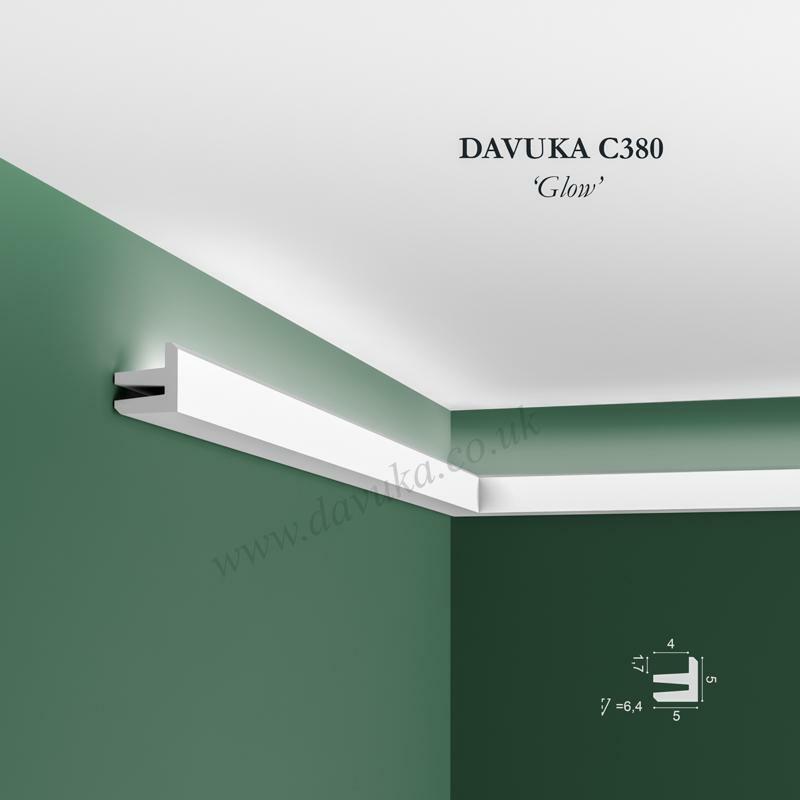 The effect of this is to give a soft ‘mood’ lighting effect that washes the ceiling with an atmospheric light and takes away the potential harshness of a single pendant light. It is a very clever way of providing additional warmth into a room without being overly dramatic. 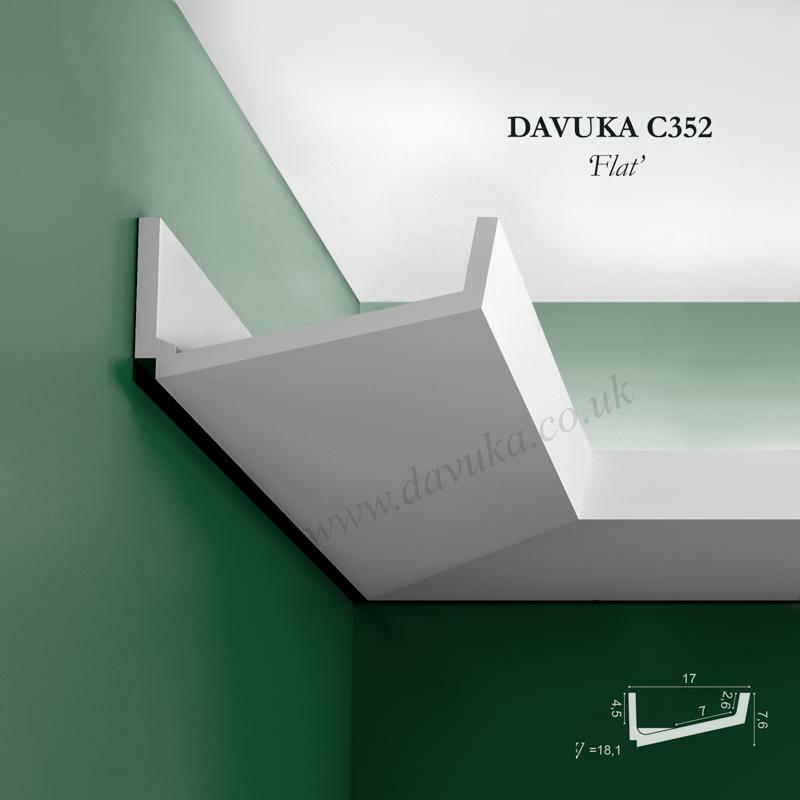 Alternatively, the cornice can sometimes be inverted and used as a downlighter, maybe to highlight a feature wall or picture. 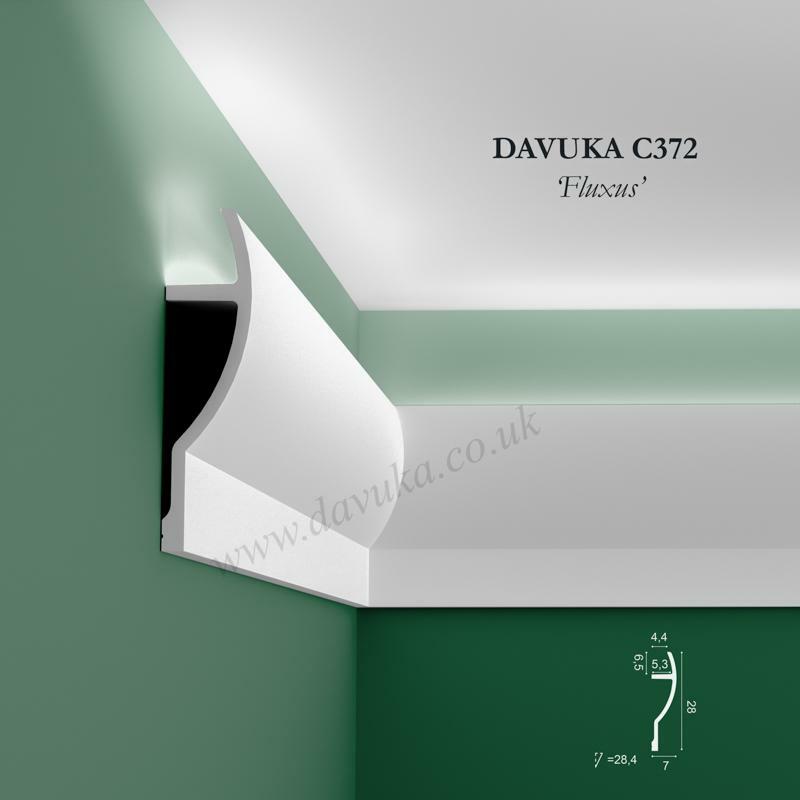 There are many sizes and profiles of uplighting cornice to suit differing room sizes and ceiling heights, from traditional Victorian cornice to match an older period property, to more modern and contemporary designs that will suit buildings undergoing a modern restoration. 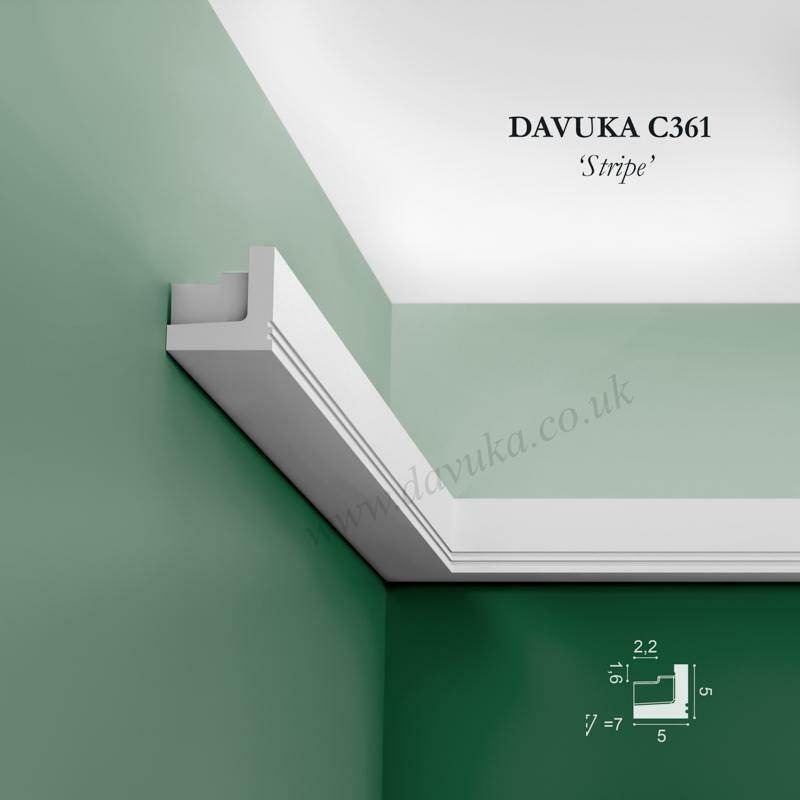 Again, cornice profile sizes can range from just a few centimetres in height and projection, to those which are nearly 30cm in height and which look terrific in a hotel lobby or restaurant. 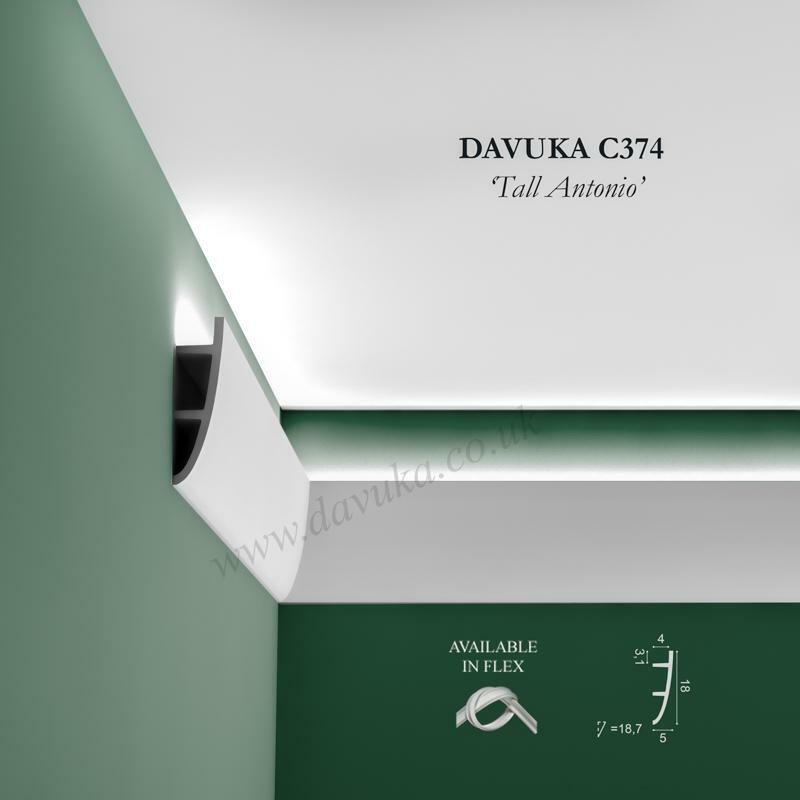 Similarly an uplighting cornice or trough should be made in a material that is as light as possible, such as hardened high density polyurethane. Hanging a heavy run of plaster projecting from a wall is quite risky, as the natural inclination will be for gravity to pull it out and down. A large amount of mechanical fixing (e.g. screws) would be needed to fully secure the run. This is can be a time consuming process, whereas lighter materials will only require adhesive and minimal fixings. 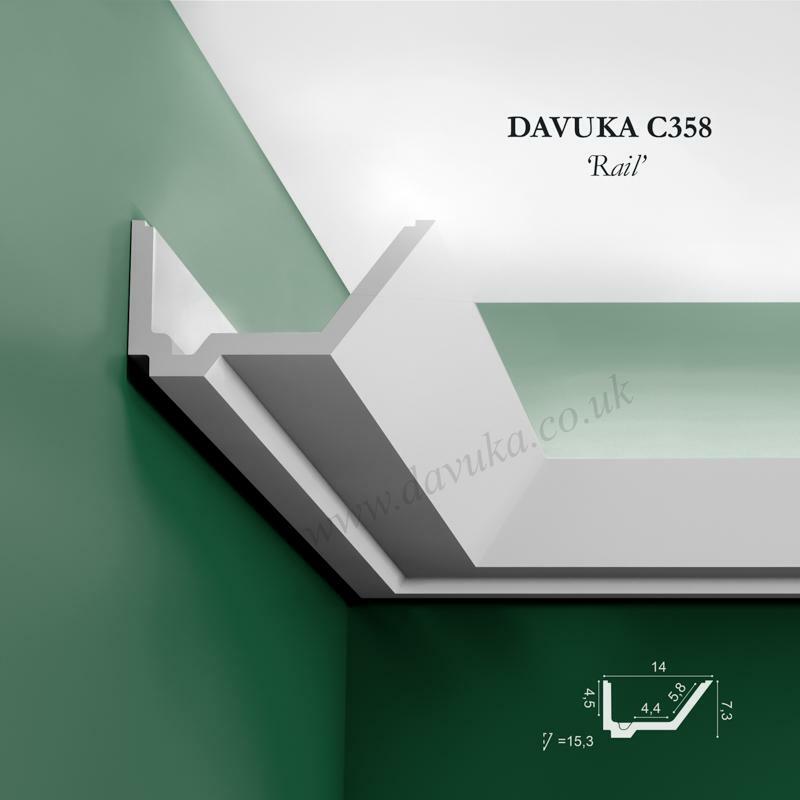 Of course there is no reason why these cornice profiles cannot also be used in the traditional sense (without lighting) and fitted up to the ceiling. If you need any further advice we are more than happy to discuss your requirements with you – please call us on 020 8660 2854. Please make sure you order enough to cover wastage. See our FAQs covering this. 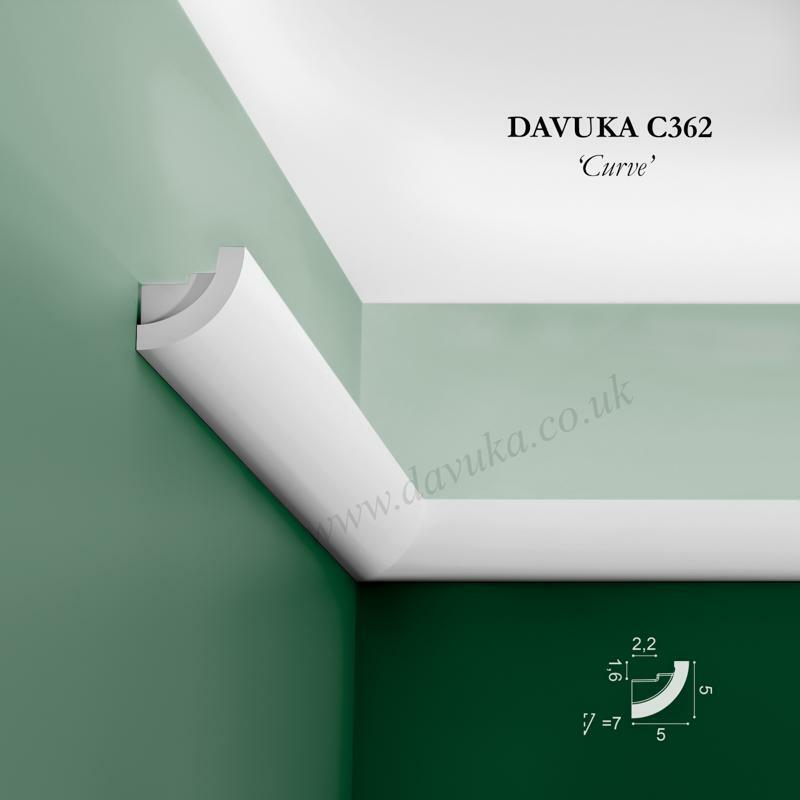 We want you to achieve the best possible installation, so we are currently offering our 2-in-1 (5m) internal gap measurement tape FREE OF CHARGE (RRP £9.98) for all coving and skirting orders totalling £200+ . Helps measure internal gaps more accurately, without an element of guesswork. Will be packed automatically with qualifying orders (max 1 per customer).